As we discussed on the developmental milestones main page, children develop in specific ways but at their own pace. Some of your young preschoolers may still be developing their older toddler skills or already be developing their PreK skills! The list below, although not exhaustive, shows the key abilities and processes that can be reasonably expect from a 5-6 year old in seven developmental areas. 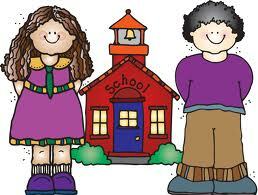 Due to different deadline dates for entering Kindergarten, you may have some 5 year-olds in your preschool classroom. Engages in cooperative play with groups of children. Gives attention to stories for 15 minutes. Wants to please peers and adults. Interacts with adults in a cooperative, socially appropriate manner. Makes suns, animals, trees, flowers, etc. Counts to 20 by rote. Counts ten or more objects. Displays positive interactions and friendliness in small and large group settings. Responds to a specific need/disire when expressed by another child. Expresses a variety of emotions. Openly and warmly expresses affection to other children most of the time. Balances on one foot for at least 10 seconds. Can somersault, swing and climb. Beginning to learn to skip. Uses pincer grasp when holding writing instrument. Cares for own toileting needs. Recalls parts or all of a story. Uses future tense when speaking. Uses possessive forms of nouns. Uses sentences with more than five words consistently. Helps plan and agrees to rules during play. As with all milestones, remember that there can be a 6 to 8 month window with typical development. This means that children may exhibit skills 6 to 8 months before or after the age the skills are listed under.